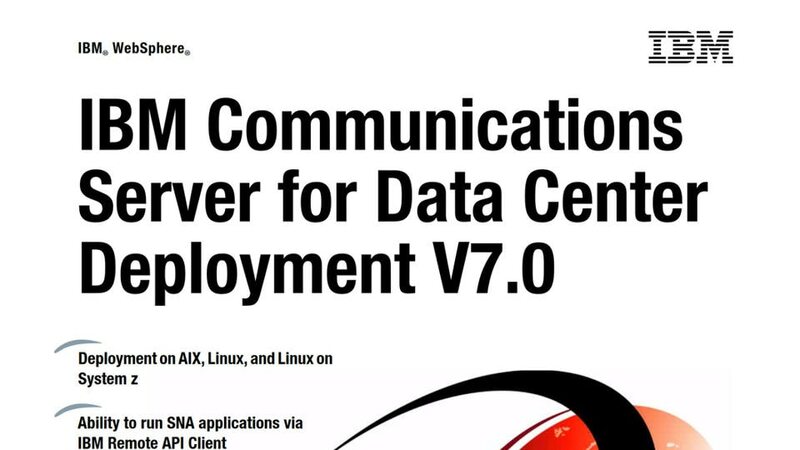 IBM® Communications Server for Data Center Deployment consolidates and extends Communications Server for AIX®, Linux® and Linux on System z® platforms. It connects users to enterprise host applications and data over diverse networks – whether an SNA, TCP/IP, intranet, extranet or internet. You get all-in-one communications services between workstations and host systems –and other workstations. Communications Server for Data Center Deployment lets you to choose applications based on your business needs – not on your network protocols. It is a good foundation for both small single-processor systems and high-end multiprocessor environments. Supports AIX, Linux, and Linux on System z with simplified administration over an intranet or the internet. Features a sophisticated programming interface that supports a wide range of application programming interfaces (APIs). Enables applications to run over multiple network protocols by acting as a multiprotocol gateway. Offers secure, robust Telnet and Remote API networking environments. Includes support for mobile and dynamic connectivity requirements for SNA applications. Enhances business flexibility by extending existing host applications to the internet.